The presentation of the Bram Stoker Awards® took place during the inaugural StokerCon in Las Vegas, Nevada on the evening of Saturday, May 14, 2016. Lifetime Achievement Brian Lumley, William F. Nolan. Screenplay Requiem for a Dream by Darren Aronofsky and Hubert Selby, Jr.
Anthology Robert Bloch’s Psychos by Robert Bloch, ed. by Ellen Datlow, ed. & Terri Windling, ed. Nonfiction Gothic Horror: A Reader’s Guide from Poe to King and Beyond by Clive Bloom, ed. 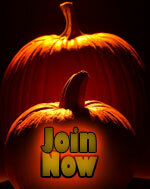 Write to hwa@horror.org if you have any questions about HWA. Write to webmaster@horror.org with comments or suggestions about this website.